Any word on his assistants? He needs a young stud recruiter and an NCAA Vet on the bench. Word was Baker was going to take the Stony Brook job but they just hired someone else. So we still have some hope to add him. There is a signing period coming up so you would think we should hear of the hirings soon. I'm surprised we haven't heard about any of Conroy's assistants. Dunleavy said either at the press conference or in an interview that he was having discussions with the current staff. Did I miss something or is there a chance we might retain one or two? It seems Coach Dunleavy is having difficulty hiring assistant coaches; let's hope because he is overwhelmed with quality potential hires rather than being unable to hire because of his stated desire to remain at Tulane for 10 or 12 years. nawlinspete wrote: It seems Coach Dunleavy is having difficulty hiring assistant coaches; let's hope because he is overwhelmed with quality potential hires rather than being unable to hire because of his stated desire to remain at Tulane for 10 or 12 years. Thanks for the link. He looks really good. Looks like a great hire assuming he comes as apparently, Nevada is trying to keep him. Other than Tulane's history with it's prior regime, what would lead you to believe Coach is having "difficulty"? C'mon. Yes he does look really good. And interesting to note that he made clear that Tulane's offer "blew him away" with repeated references to the offer, which should put an end to the Dickson-era Stockholm Syndrome excuse that "the university is too financially strapped to be competitive". Lot's of kool aid was drunk on that one. Looks like Dunleavy's making sure we get recruiting covered. This Stewart guy seems to be a good one. Stewart said he's been close with Dunleavy's son, Baker, who is the associate head coach at Villanova, and that "the opportunity kind of came out of left field." Guess this is an indication that we're not getting Baker. I would think if Baker were coming he'd be the Associate Head Coach. Seems like maybe Baker referred Stewart to his dad? Exactly my thoughts when I read the first article from the Reno Gazette. Then again, maybe Baker said "get Stewart on board and I'll join in..." I would think you're right, Robert. But I still hold out hope that Baker wants to learn and work for his Dad. Assistant coaches come and go (as Stewart did one year in Reno). I don't think Dunleavy saying that he's wanting to live here for 10 years is scaring off anyone. Stewart's got great AAU connections. This is a good hire. I'm getting used to this consistent good news! Pretty good resume. He's smart (played at Brown). He's coached at small private schools, (Brown, Columbia, Washington and Lee), and at P5 schools (Oregon State). He's got not one, but TWO CBI titles under his belt. And he considers our academics a plus. I like this hire. 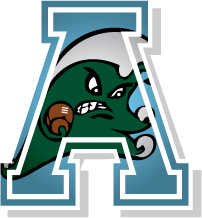 Stewart said Tulane's standing as a top-40 academic university in the nation was a plus. He joined Oregon State's staff the year after the Beavers went 0-18 in the Pac-12 and joined Nevada's staff following a nine-win campaign, so he's used to rebuilds. He was a part of CBI titles with both programs. Coach likes the commits we currently have he just wishes he had more scholarships available. tpstulane wrote: Coach likes the commits we currently have he just wishes he had more scholarships available. Just temporarily make Ed Conroy an assistant and watch some schollys become available! We must have two available, Osetkowski and Mack are transferring and we haven't signed anyone else. We still have 5 outstanding offers, from what I read. Did he visit Starwood? Is he still coming to town? By my count, 4 players left (Lou, Oset, Jarreau, Mack), plus we were already short one (Nichols). Signed 3, which leaves 2 openings. If Starwood doesn't come, we have 3 slots. DrBox wrote: Did he visit Starwood? Is he still coming to town? He went to visit a player in California and one in Houston. He said both flights were delayed. One by Obama and one due to mechanical problems. In fact the mechanical issue caused him to have to stay overnight and catch a plane the next day. I don't remember him mentioning names. By my count (aided by Verbal Commits.com) we have 8 scholarship players on the roster: Morgan, Smith, Reynolds, Julien, Frazier, Harris, Paul and Oliver. 1 LOI (PG Justin Moore) and 2 Verbals (PG Slater and PF Starwood). IF our three commits come, that leaves 2, as Dr. Box pointed out. The big thing with Stewart is he's an ace with compliance along with recruiting. A must for a lifetime NBA coach. MD won't be running some rogue outfit like brown. I couldn't imagine the BS in compliance. coach is going to have all the i's dotted for sure. Anyone know if Shammond Williams is under consideration for one of the remaining assistant spots?